I’ve heard of biofeedback machines for a few years, but I’d never have an experience with one until recently. If you know me, you know I’m all about new experiences, so when Michelle Corey of Boston Biofeedback offered me a session I was all in. The first surprise was that this could be done remotely. I wrongly assumed I needed to be physically hooked up to the machine to get a reading, but that is not the case at all. My session was done entirely via the phone with Michelle asking me questions, entering some data into the machine and sharing results. It began with questions about my current health, medication, diet, history and more. Then, that data along with Michelle’s intuition and the device gave me information on my dietary needs, food sensitivities, weakest organ (my spleen), overall health and energy, plus things to look out for and more. 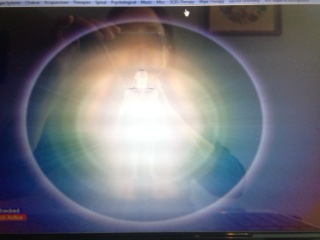 The machine does readings spiritually, mentally and physically and I came out quite healthy and balanced – yay! She said it was nice to look at someone who wasn’t sick. I did get feedback to breathe deeper, avoid tuna fish and that I have a tomato allergy I was not aware of. Six of my chakras were open and balanced. Also, I was declared to biologically be 34 years old. I was warned that my pituitary was a bit weak and my adrenals were being stressed, which certainly made sense since as an entrepreneur I can go and go, usually getting 5-6 hours of sleep a night. So the next day I allowed myself to sleep a solid ten hours for the first time in months, and that felt GREAT! If you’ve got health issues and aren’t finding answers, consider biofeedback. Leave a comment for: "Ever experience Biofeedback?"